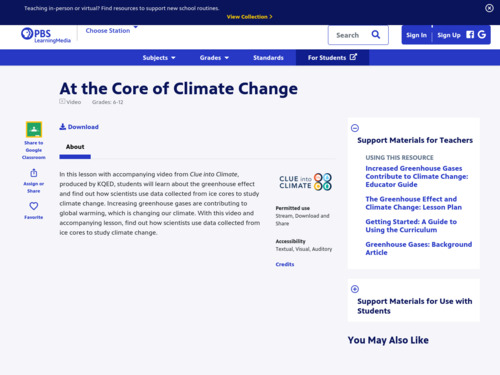 This video is part of the Climate Science in a Nutshell series. 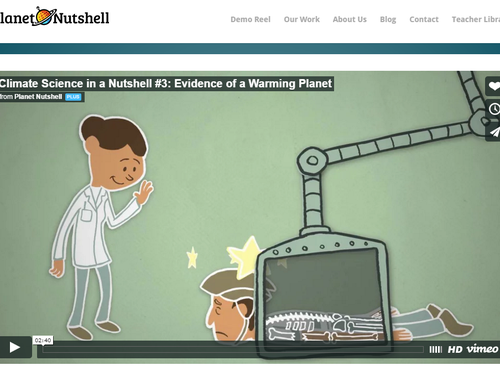 This short, animated video looks at evidence of a rapidly warming planet. It discusses how air bubbles in ice cores can be used to estimate Earth's average air temperature for thousands of years and how direct measurements document air temperatures from 1880. 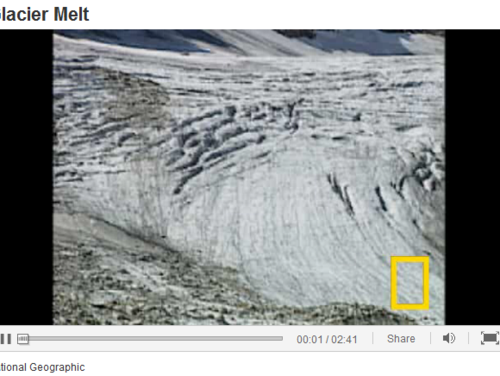 This short video shows an example of melting alpine glaciers in the Austrian Alps (Goldberg Glacier). Disappearing alpine glaciers have social and environmental impacts, including the decline of fresh water supplies and contributions to sea level rise. 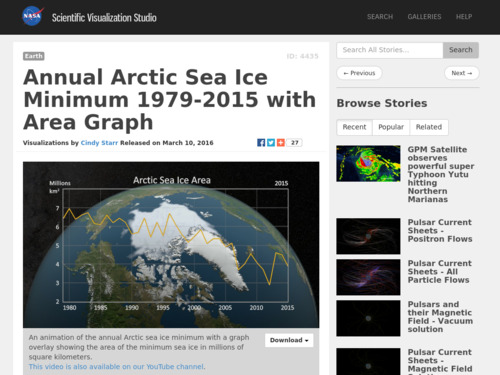 This series of visualizations show the annual Arctic sea ice minimum from 1979 to 2015. The decrease in Arctic sea ice over time is shown in an animation and a graph plotted simultaneously, but can be parsed so that the change in sea ice area can be shown without the graph. This interactive visualization describes how climatologists obtain and interpret evidence from the Greenland Ice Sheet in an effort to piece together a picture of Earth's distant climate history. 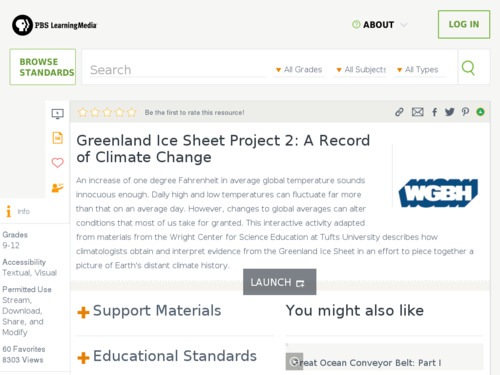 Resource describes how glaciers form and how they can be used to collect ancient atmospheric data. 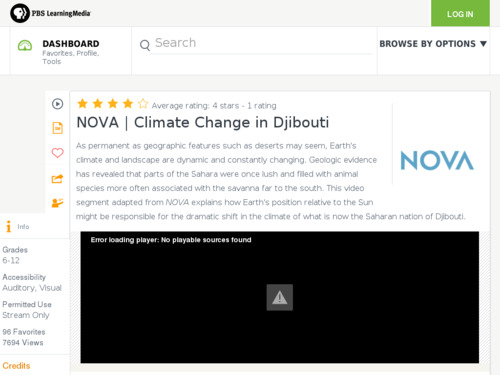 The issues analyzed in the data collection are particularly good in showing how science is done in the field. 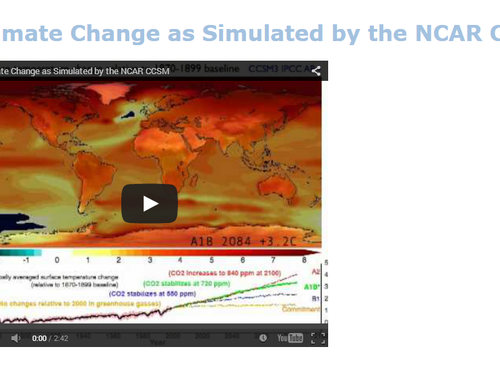 This animation depicts global surface warming as simulated by NCAR's Community Climate System Model (CCSM) Version 3. It shows the temperature anomalies relative to the end of the 19th century, both over the entire globe and as a global average. The model shows the temporary cooling effects during 5 major volcanic eruptions and estimates future temperature trends based on different amounts of greenhouse gas emissions. This color-coded map displays a progression of changing five-year average global surface temperatures anomalies from 1880 through 2010. 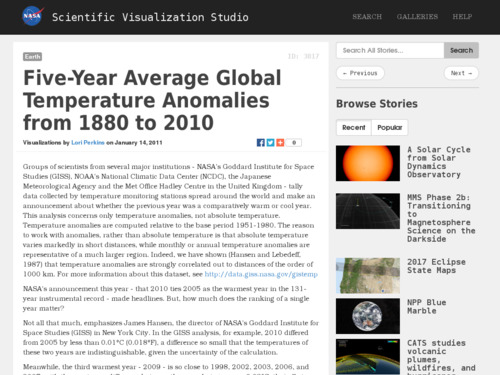 The final frame represents global temperature anomalies averaged from 2006 to 2010. The temperature anomalies are computed relative to the base period 1951-1980. 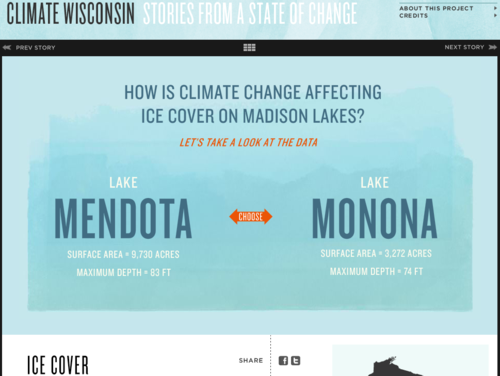 This is an interactive graph that involves records of ice cover in two Wisconsin lakes - Lake Mendota and Lake Monona - from 1855-2010. This video shows where and how ice cores are extracted from the West Antarctic Ice Sheet. The cores are cut, packaged, flown to the ice core storage facility in Denver, further sliced into samples, and shipped to labs all over the world where scientists use them to study indicators of climate change from the past. Two graphs from the NASA Climate website illustrate the change in global surface temperature relative to 1951-1980 average temperatures. 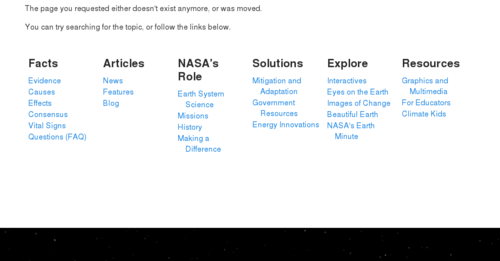 The NASA plot is annotated with temperature-impacting historic events, which nicely connect an otherwise challenging graphic to real-world events.